…Trump vs. the Times: Inside an Off-the-Record Meeting… – A Nibble – A Bite – or a Meal! 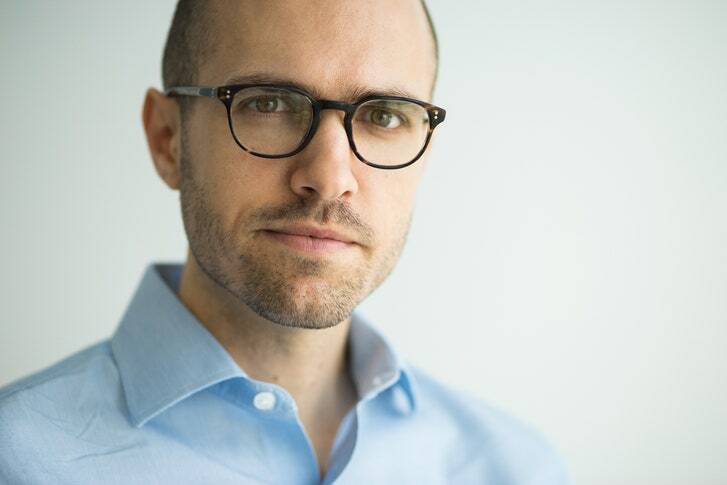 On July 20th, the new publisher of the Times, A. G. Sulzberger, visited the Oval Office at the invitation of President Trump. The meeting was meant to be off the record. As a matter of policy, Dean Baquet, the executive editor of the Times, will not attend such meetings without being able to report on them. Instead, Sulzberger went to the session accompanied by James Bennet, the editorial-page editor. The meeting, which Trump clearly intended as a way both to introduce himself to Sulzberger and to complain about coverage, became, in the course of more than an hour, something a great deal more revealing. The once-secret session provides a fascinating look at Trump’s capacity to feign charm and receptiveness to criticism in private and then return to a war footing not long after. The two Times leaders had not known why they had been asked to the White House, but it was soon evident that Trump did not intend to berate them, as he might in a tweet or from a podium. Not surprisingly, Trump took up much of the seventy-five-minute session extolling his accomplishments, real and imagined. In fact, “fake news” first entered the language in the late nineteenth century; it came to the fore most recently as a way of describing fabricated stories, not a few of them engineered for profit in Russia and other foreign countries. Trump adopted the phrase for his own purposes during the 2016 campaign and has deployed it as a weapon in his broader attempt to delegitimize the news outlets—the Times, the Washington Post, CNN, and many more—that he views as political adversaries, and to create a kind of parallel universe of “alternative facts” and realities. During the Oval Office discussion, Sulzberger pointed out to Trump that foreign leaders, particularly authoritarians and despots, have taken up Trump’s language and angle of attack. Sulzberger replied calmly that such countries were dictatorships and only dictatorships could ban independent inquiry. Sulzberger argued that the use of such a phrase was inflammatory, dangerous to journalists both in the United States and abroad. Journalists were getting threats, he told the President. Some news outlets were posting armed guards at their offices. Journalists abroad were being imprisoned, murdered. To inflame that situation with such rhetoric was a true danger, a match lowered to atinderbox. Sulzberger pressed this point twice, both in the middle of the session and toward the end. Strikingly, Trump did not argue and at least pretended to take it onboard. He did not apologize, by any stretch, but he tried to get across the possibility that he would think about it. At one point, near the end of the conversation with Sulzberger and Bennet, he even pointed to his temple, a gesture that seemed intended to indicate that he would give the idea some consideration. The Times executives left the meeting struck by how relatively mild Trump had seemed compared to his public performances, but they were under no illusion that he would change his rhetoric. The problem is that Trump’s assault on the press has been remarkably effective. But none has ever waged battle with the press so obsessively. Trump’s ferocious attacks at rallies and on social media give a direction and a language to his amplifying outlets: Sean Hannity, Tucker Carlson, Rush Limbaugh, the Drudge Report, Breitbart, and countless trolls online. Trump’s capacity to create alternative and polarizing realities, to divert attention from his failures and scandals, to inflame his opponents, and to foment a general atmosphere of culture war and mutual recrimination is perhaps his greatest political talent. He can be affable enough to a couple of visiting Times executives in the Oval Office but then has no compunction about going back to war from the stump. This is at the heart of his appeal. “We got elected on Drain the Swamp, Lock Her Up, Build a Wall,” he said. “This was pure anger. Anger and fear is what gets people to the polls.” Bannon added, “The Democrats don’t matter. When the media – driven insane by their Trump Derangement Syndrome – reveals internal deliberations of our government, it truly puts the lives of many, not just journalists, at risk! Very unpatriotic! Freedom of the press also comes with a responsibility to report the news . . .
. . . dying newspaper industry. No matter how much they try to distract and cover it up, our country is making great progress under my leadership and I will never stop fighting for the American people! As an example, the failing New York Times . . .
. . . and the Amazon Washington Post do nothing but write bad stories even on very positive achievements – and they will never change!